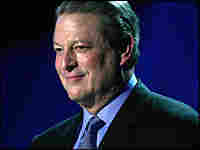 Al Gore: 'Assault on Reason' Endangers Democracy Al Gore made waves for his work raising awareness on climate-change issues. Another poisonous environment has captured his attention as well: a climate that threatens reasonable public discourse. Our systematic exposure to fear and other arousal stimuli on television can be exploited by the clever public relations specialist, advertiser, or politician. Barry Glassner, a professor of sociology at the University of Southern California, argues that there are three techniques that together make up "fearmongering": repetition, making the irregular seem regular, and misdirection. By using these narrative tools, anyone with a loud platform can ratchet up public anxieties and fears, distorting public discourse and reason. There are, of course, many historical examples of vivid imagery producing vicarious traumatization that has been used for positive purposes. For example, the images of civil rights protesters being threatened with snarling dogs and being brutalized with fire hoses helped mobilize ordinary Americans to become part of a broader movement for social justice. In my own experience, I have learned that visual images—pictures, graphs, cartoons, and computer models— communicate information about the climate crisis at a level deeper than words alone could convey. Similarly, the horrifying pictures that came back to us from both Vietnam and the Iraq war helped facilitate shifts in public sentiment against failing wars that needed to end. Even though logic and reason have played more prominent roles in the medium of print, they can also be used along with images to powerful and positive effect in the television medium. In fact, visual images of suffering are significant precisely because they can help generate empathy and goodwill. The horrifying pictures from inside Abu Ghraib prison communicated the essence of the wrongdoing there far more powerfully than any words could have. Even so, when such strong feelings are manipulated, the possibility for abuse becomes considerable. The flight insurance example highlights another psychological phenomenon that is important to understanding how fear influences our thinking: "probability neglect." Social scientists have found that when confronted with either an enormous threat or a huge reward, people tend to focus on the magnitude of the consequence and ignore the probability. Consider how the Bush administration has used some of the ¬techniques identified by Professor Glassner. Repeating the same threat over and over again, misdirecting attention (from al-Qaeda to Saddam Hussein), and using vivid imagery (a "mushroom cloud over an American city"). Even if you believe that Iraq might have posed a threat to us, I hope you will agree that our nation would have benefited from a full and thorough debate about the wisdom of invading that country. Had we weighed the potential benefits of an invasion against the potential risks, perhaps we could have prevented some of the tragic events now unfolding there. Terrorism relies on the stimulation of fear for political ends. Indeed, its specific goal is to distort the political reality of a nation by creating fear in the general population that is hugely disproportionate to the actual danger that the terrorists are capable of posing. Ironically, President Bush's response to the terrorist attack of September 11 was, in effect, to further distort America's political reality by creating a new fear of Iraq that was hugely disproportionate to the actual danger Iraq was capable of posing. That is one of the reasons it was so troubling to so many when in 2004 the widely respected arms expert David Kay concluded a lengthy, extensive investigation into the administration's claim that Iraq posed an enormous threat because it had weapons of mass destruction with the words We were all wrong. As we now know, of course, there was absolutely no connection between Osama bin Laden and Saddam Hussein. In spite of that fact, President Bush actually said to the nation at a time of greatly enhanced vulnerability to the fear of attack, "You can't distinguish between them." Thomas Jefferson would have recognized the linkage between absurd tragedy and the absence of reason. As he wrote to James Smith in 1822, "Man, once surrendering his reason, has no remaining guard against absurdities the most monstrous, and like a ship without rudder, is the sport of every wind." I spoke at the Iowa Democratic Convention in the fall of 2001. Earlier in August, I had prepared a very different kind of speech. But in the aftermath of this tragedy, I proudly, with complete and total sincerity, stood before the Democrats of Iowa and said, "George W. Bush is my president, and I will follow him, as will we all, in this time of crisis." I was one of millions who felt that same sentiment and gave the president my total trust, asking him to lead us wisely and well. But he redirected the focus of America's revenge onto Iraq, a nation that had nothing whatsoever to do with September 11. The fear campaign aimed at selling the Iraq war was timed precisely for the kickoff of the 2002 midterm election. The president's chief of staff explained the timing as a marketing decision. It was timed, Andrew Card said, for the post–Labor Day advertising period because that's when advertising campaigns for "new products," as he referred to it, are normally launched. The implication of his metaphor was that the old product—the war against Osama bin Laden—had lost some of its pizzazz. And in the immediate run-up to the election campaign of 2002, a new product—the war against Iraq—was being launched. For everything there is a season, particularly for the politics of fear. 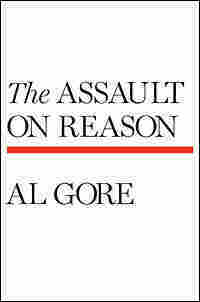 Excerpted from The Assault on Reason Copyright 2007 by Al Gore.